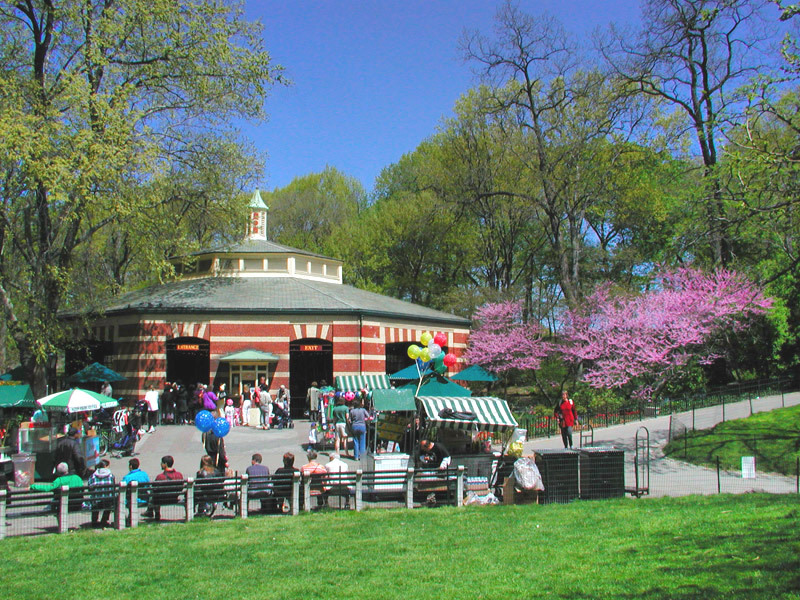 Miami In Focus Photo Gallery of the Friedsam Memorial Carousel C65 in Central Park. Reservations Required: Minimum of 12 children. 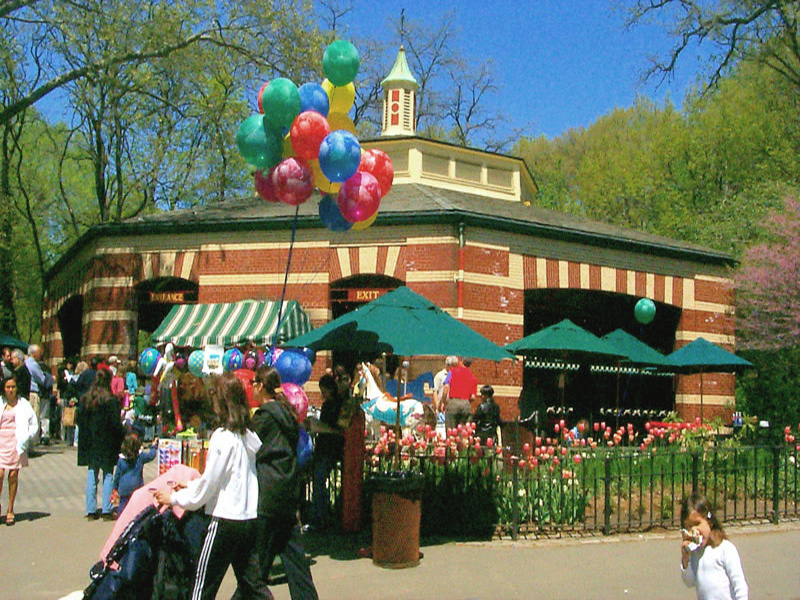 Walking west beneath the Playmates Arch, invokes the distinct sound of organ music resounding from the Friedsam Memorial Carousel which stands just a few feet away. carousel that was built and in use during 1871. Over the years a much more humane approach was taken when a non-horse powered carousel came into existence. However, in 1924 it was destroyed by fire, as was its successor in 1950. The Parks Department set out to find a replacement and to their astonishment they discovered the present vintage Carousel, abandoned in the old trolley terminal on Coney Island. 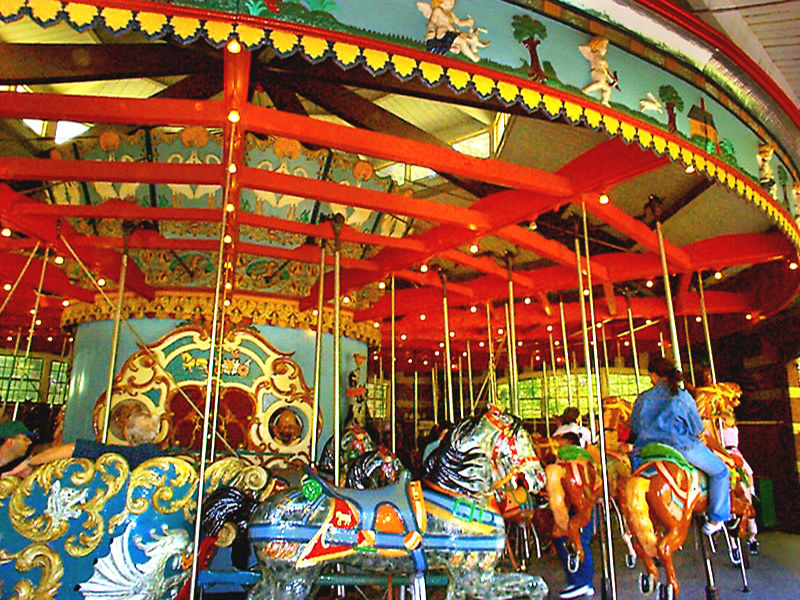 This Carousel is one of the largest in the United States, with 58 hand-carved, painted horses and is considered to be one of the finest examples of turn-of-the-century folk art. Created in 1908, Stein and Goldstein’s amazing craftsmanship is evidently displayed, as the nearly life-size horses in the outer ring appear to come alive as the Carousel quickly spins. 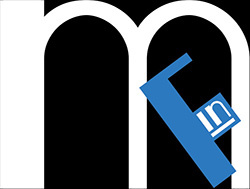 In 1951, the Carousel was renovated and updated with modernized equipment provided with a gift from the Michael Friedsam Foundation. The musical tunes from the calliope invoke a past age when the smell of hot dogs, popcorn and cotton candy were the best definition of childhood memories. A Ruth Sohn band organ playing a Wurlitzer 150 music roll provides the music and is original to the Carousel. As the young ones indulge themselves on those irresistible treats, their little hands try with all their might to hold onto colorful balloons that fly high above them. Yet, for the children, the Carousel ride is true bliss. For just a dollar, this three-and-a-half minute spin is worth every cent.